These products can be purchased when you are here for a ceremony or ordered by writing to homica@nycap.rr.com. If the product is mailed to you a shipping charge will be added. The House of Mica Peace Chamber, in collaboration with Joseph Rael / Beautiful Painted Arrow and a sound studio, have digitally re-mastered Beautiful Painted Arrow’s entire collection of past recordings. 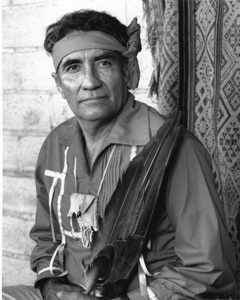 This 12 CD collection includes his voice singing sacred sounds, chants, songs and teachings. Only available as a complete set. The CDs are saved as audio files on a password protected page on this site. With payment of $44 you will receive the password and will be able to listen to the material on a special page of this site or download all files to your chosen device. Please email us to arrange for payment. We will provide the password and then you may come back to this page, click on this link and type in the password provided to gain access to all files. In 2015, Joseph Rael/ Beautiful Painted Arrow reissued the well loved book titled Being and Vibration. Much new content and artwork have been included in the new edition. If you are interested in purchasing this book, email us or ask us when you are here for ceremony. $25 - special signed copies are also available for $50.00. This series of five brand new easy to read books provide you with key teachings from Swami Paramanand Ji about Vedanta, the teaching of Ultimate One-ness. Each book contains twenty quotes to deepen your experience of the book’s central topic. 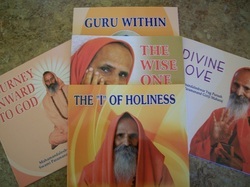 Book titles include: Divine Love; The Guru Within; The I of Holiness; Journey Inward to God; The Guru Within. $10 for the entire series.